Originally published in the Gainesville Times newspaper. Article by Layne Saliba. Tony Butler crashed on the first day of his bike ride from Chattanooga, Tennessee, to Atlanta as part of Bicycle Ride Across Georgia’s U.S. Bicycle Route 21 event in September last year. But he was having too much fun to stop. 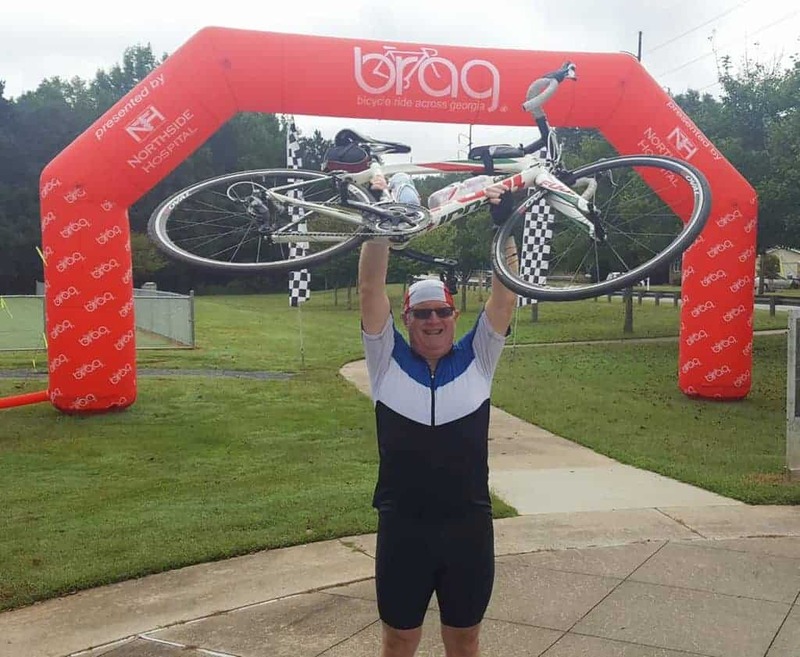 He completed the ride and will now be riding in Big BRAG, the organization’s ride across the state. “I got me some road rash and messed up my thumb a little bit, but I was having too good a time to quit so I just kept on going,” said Butler, a Gainesville native who just moved to Hiawassee. BRAG, which is celebrating its 40th year in 2019, has stopped in Gainesville once about every 10 years, with the last time in 2006. 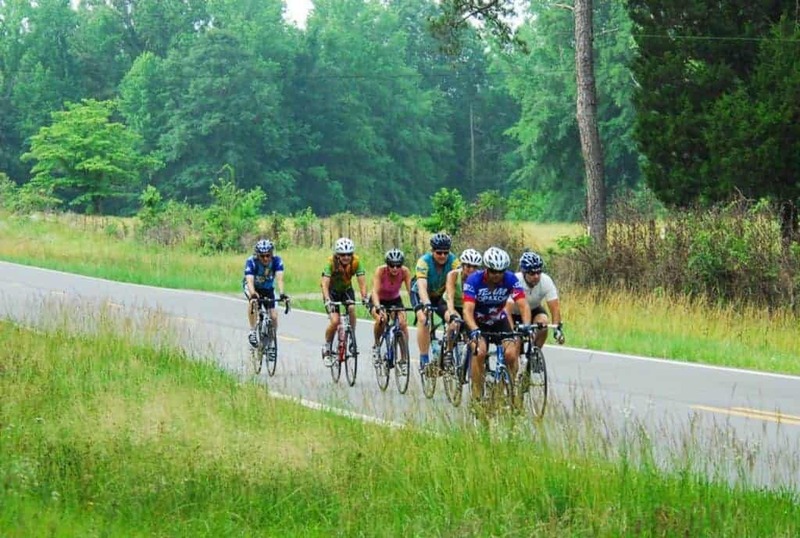 This year’s ride, June 1-8, will start in Ellijay with stops in Gainesville, Covington, Milledgeville, Swainsboro and Hinesville on its way to the coast where it will end in Darien, about 50 miles south of Savannah. The trip is about 350 miles. Riders average about 55 miles each day with a day off to rest in the middle. If 55 continuous miles are too much, there are rest stops about every 15 miles. The trip through Gainesville wil be like a homecoming for Butler, and it’s one of the things that solidified his decision to take part in this year’s ride. When the ride comes through Gainesville, participants can camp out at the Lake Lanier Olympic Park, where there will be concessions and a concert. They’re also encouraged to get out into the city. BRAG will provide shuttles from the park to the Gainesville square. “It gives riders a unique perspective, just to experience the state of Georgia at a much slower pace, on two wheels sitting on the seat of your bike, rather than sitting in your car,” Johnson said. That’s exactly the experience Butler said he had on his ride from Chattanooga to Atlanta. He said it’s hard sometimes to remember it’s a ride, not a race, especially since he’s naturally competitive, but when he was passing the scenery, he was quickly reminded to simply take it all in. Apart from the scenery, Butler said he enjoyed getting to know some of the other riders. Although it’s an individual event, there’s never a moment when riders are by themselves. There’s always someone around. And anyone can do it. He said he saw people in their 20s and others in their 70s, which is another reason he’s excited to take part in Big BRAG this year and years to come.